Technology Adoption Program (TAP) - P3iD Technologies, Inc.
As a trusted business partner, P3iD Technologies would like to cordially invite you to participate in our Technology Adoption Program (TAP). Below are some of the highlights of our program. 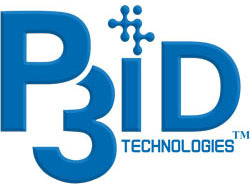 The P3iD Technology Adoption Program (P3iD-TAP) is an exclusive, by invitation-only, program where strategic, and trusted business partners, are offered unique access to upcoming P3iD technologies and solutions. The P3iD team will provide pre-announced technology. Early access to these technologies for preview will allow your organization to have advanced notice in order to properly plan for marketing, sales and support activities to give your business a competitive advantage in working closely with P3iD as a strategic partner. Please complete the form below to apply for the P3iD Technologies Technology Adoption Program (P3iD-TAP). We will review your application and contact you with next steps.